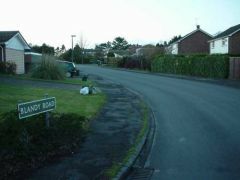 The small stretch of road that joins Blandy Road to Manor Road. 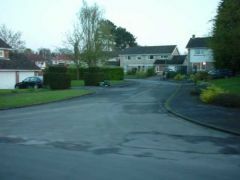 A small residential cul-de-sac that branches off Blandy Road as it bends round sharply towards St. Andrew's Road. 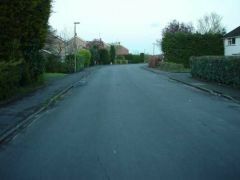 The road bends in the direction of St. Andrew's Road. This photo was taken on dustbin day! 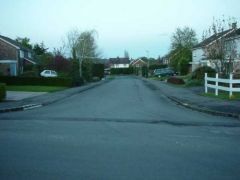 Residential housing that is situated along the long straight stretch of Blandy Road. 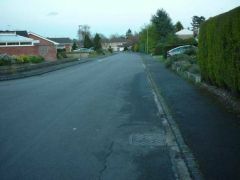 A view of the road taken from the junction with Saint Katherine's Road. 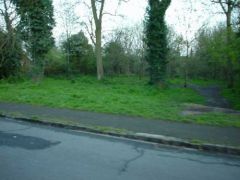 A small area of undeveloped land in Henley-on-Thames that is situated along the road.